Over the past two decades, research has accumulated compelling evidence that sleep supports the formation of long-term memory. The standard two-stage memory model that has been originally elaborated for declarative memory assumes that new memories are transiently encoded into a temporary store (represented by the hippocampus in the declarative memory system) before they are gradually transferred into a long-term store (mainly represented by the neocortex), or are forgotten. Based on this model, we propose that sleep, as an offline mode of brain processing, serves the ‘active system consolidation’ of memory, i.e. the process in which newly encoded memory representations become redistributed to other neuron networks serving as long-term store. System consolidation takes place during slow-wave sleep (SWS) rather than rapid eye movement (REM) sleep. The concept of active system consolidation during sleep implicates that (a) memories are reactivated during sleep to be consolidated, (b) the consolidation process during sleep is selective inasmuch as it does not enhance every memory, and (c) memories, when transferred to the long-term store undergo qualitative changes. Experimental evidence for these three central implications is provided: It has been shown that reactivation of memories during SWS plays a causal role for consolidation, that sleep and specifically SWS consolidates preferentially memories with relevance for future plans, and that sleep produces qualitative changes in memory representations such that the extraction of explicit and conscious knowledge from implicitly learned materials is facilitated. Dedicated to Professor Frank Rösler on the occasion of his 65th birthday. Sleep supports the formation of memory. This is a long-standing idea dating back to Ebbinghaus and the beginnings of experimental memory research (Ebbinghaus 1885). While memory formation is not the only function of sleep, it seems to be the most important because it helps to establish the state of consciousness during wakefulness. In fact, establishing a stream of consciousness requires that acute sensations are continuously linked and referenced to pre-existing memories in the brain “…and like our body would fall apart if the atoms did not attract each other, our consciousness would fall apart into as many pieces as moments there are without the binding power of memory” (Hering 1921). As memory has been seen by many philosophers and psychologist as a major prerequisite for consciousness, it is of course interesting if this memory is revealed to be formed and built up to a great part during sleep, i.e. a brain state characterized by a profound loss of consciousness. Indeed, it appears that consciousness on the one hand and the formation of memory—at least of long-term memory—on the other hand, are two mutually exclusive processes that cannot take place simultaneously in the brain’s neuronal networks. Thus, memory formation could be the function of sleep that eventually helps us to understand why sleep is associated with a more or less profound loss of consciousness. A basic issue of memory research, i.e. the stability–plasticity dilemma, refers to the question how the brain can maintain previously learned memories while it continues to learn new things that tend to override the old memories. How does the brain prevent that newly learnt materials wash away the old memories but, rather become incorporated into the networks of pre-existing long-term memories, and how do old memories remain accessible in an ever-changing environment (Carpenter & Grossberg 1988)? Furthermore, many aspects of episodes experienced in the wake state represent irrelevant information that does not need to be stored for the long term. The standard two-stage model of memory offers a widely accepted solution to these issues (Marr 1971; McClelland, McNaughton, & O’Reilly 1995). It assumes two separate memory stores, one that learns at a fast rate and holds information only temporarily, and the other that learns at a slow rate but shows also a slow rate of forgetting and serves as the long-term store. New information is initially encoded in parallel into both the temporary and the long-term store. In subsequent periods of consolidation, the newly encoded memory traces are repeatedly reactivated and thereby become gradually reorganised such that the representations in the slow-learning long-term store are strengthened. Through the repeated reactivation of new in conjunction with related older memories, the temporary store acts like an internal “trainer” of the slowly learning long-term store to gradually adapt the new memories to the pre-existing knowledge networks. The reactivation and redistribution of memories to the long-term store can also promote the extraction of invariant and relevant features from the new memories, whereas irrelevant features may be erased. Because both stores are used also for encoding of information, this encoding could interfere and disturb the proper consolidation process. Therefore, to prevent such interference, the reactivation and redistribution of memories during consolidation take place in offline periods, i.e. during sleep when there are no encoding demands. Although the standard two-stage model represents a general concept that can account for memory formation in very different neuropsychological systems, and has even been applied to immunological memory formation (Lange, Dimitrov, & Born 2010), it has become most elaborated for the declarative memory system. In the declarative memory system the fast-learning, temporary and slow-learning long-term stores are represented by the hippocampus and neocortex, respectively. Based on the repeated reactivation of temporary memories in the hippocampus, these are gradually redistributed over periods of days and years to neocortical networks and can ultimately lose their dependence on hippocampal networks (Zola-Morgan & Squire 1990; McClelland et al. 1995; Frankland & Bontempi 2005). Declarative memory is commonly divided into semantic memory that refers to general knowledge and episodic memory that refers to individual events consciously experienced during wakefulness. Semantic memories in the process of consolidation can in fact become entirely independent from the hippocampus and neighbouring medial temporal lobe structures implicating that they are erased from hippocampus networks. By contrast, for episodic memories hippocampal function may be continuously required even after years of consolidation (Nadel, Samsonovich, Ryan, & Moscovitch 2000). The consolidation of memory within a two-stage memory system implies a so-called ‘system consolidation’ process as representations are redistributed between different brain systems. System consolidation is commonly dissociated from another type of consolidation termed ‘synaptic consolidation’ which implicates the strengthening of memory representations at the synaptic level and refers to changes of synaptic connections in localized neuronal circuits (Dudai 2004). It has been proposed that system consolidation takes place preferentially off-line during sleep, because this type of consolidation involves the reactivation of fresh memory representations to promote their redistribution to the long-term store, with these processes possibly interfering with the brain’s normal processing of external stimuli (Diekelmann & Born 2007). By contrast, synaptic consolidation may occur equally well during wakefulness. The standard two-stage model of memory has been taken as a basis for conceptualizing the function of sleep for memory as a process supporting active system consolidation (Marshall & Born 2007; Diekelmann & Born 2010). In an attempt to integrate a large variety of findings from animal and human studies in the field, the role sleep and different sleep stages play was specified mainly for consolidating memories at the systems level. Nevertheless, the model can also be extended to explain a second memory-related function of sleep, namely to ease the encoding of new materials. It concentrates on the declarative memory system, but may also be used to explain some observations made for sleep-dependent consolidation of procedural memories. According to this model (Fig. 1), events experienced during wakefulness are initially encoded in parallel in neocortical networks and in the hippocampus including adjacent medial temporal lobe structures. Encoding in hippocampal networks is probably restricted to certain aspects, for example, episodic features of an event. During subsequent periods of sleep and, here mainly during slow wave sleep (SWS), the newly acquired memory traces are repeatedly reactivated and thereby become gradually redistributed such that synaptic connections within the neocortex are strengthened forming more persistent memory representations. The reactivation and redistribution of memories during SWS are regulated in a dialogue between neocortex and hippocampus that is essentially under feed-forward control of the slow oscillation, which hallmark the EEG during SWS and occur in human sleep at a spectral frequency of ~0.75 Hz. The slow oscillations are generated primarily in neocortical networks, probably in part as function of the prior use of the networks for encoding of information, i.e. the more information is encoded during wakefulness the higher the amplitude of the slow oscillations is over respective cortical areas during succeeding SWS (Huber, Ghilardi, Massimini, & Tononi 2004; Mölle, Marshall, Gais, & Born 2004). A major function of the slow oscillations is that they temporally group neuronal activity into hyperpolarizing down-states during which neurons are globally silent and succeeding depolarizing up-states during which neuronal firing is increased to wake-like levels (Steriade 2006). Importantly, slow oscillations synchronize neuronal activity not only in the neocortex, but via efferent pathways also in various other brain regions relevant to memory consolidation, i.e. in the thalamus where thalamo-cortical spindles are generated and in the hippocampus where reactivations of memory representations are generated arising in these networks conjointly with so-called sharp-wave ripples in the hippocampal EEG. Thus, the slow oscillations provide a global temporal frame whereby the depolarizing up phases repetitively drive the reactivation of memories in hippocampal circuits in parallel with thalamo-cortical spindles and probably also with activity from other regions (e.g. noradrenergic locus coeruleus bursts). This enables that the activity fed back from these structures to the neocortex arrives at about the same time—and still in the depolarizing up-state—at respective neocortical circuitry. The hippocampo-to-neocortical transfer of reactivated memory information reaching neocortical circuitry in the up-state and in synchrony with thalamo-cortical spindles is likely a prerequisite for the formation of more persisting traces in neocortical networks. Consistent with this concept, at the level of neuronal firing, reactivations of newly encoded memory representations in the timeframe of the slow oscillation have been demonstrated both in hippocampal and neocortical circuitry (Ji & Wilson 2007; Euston, Tatsuno, & McNaughton 2007). Also, consistent with this concept, at the level of local field potentials, slow oscillations, spindle activity and hippocampal ripple activity are increased during sleep after a learning experience (Gais, Molle, Helms, & Born 2002; Eschenko, Ramadan, Molle, Born, & Sara 2008; Mölle & Born 2009), and there is also evidence that these increases are linked to an improved retention of the learned memories (Huber et al. 2004; Clemens, Fabo, & Halasz 2005; Clemens, Fabo, & Halasz 2006; Girardeau, Benchenane, Wiener, Buzsaki, & Zugaro 2009). An important feature of the synchronizing influence of slow oscillations is that they allow for the formation of spindle-ripple events as a mechanism that mediates the transfer of hippocampal memory information to the neocortex in a temporally fine-tuned manner. Spindle oscillations are generated in the thalamus in a frequency range between 12 and 15 Hz in the human EEG and via thalamo-cortical pathways reach widespread neocortical areas. The driving influence of the depolarizing up phase of the slow oscillation on spindle and hippocampal ripple activity enables the ripples and accompanying memory information to become nested into the single oscillatory troughs of spindles (Siapas & Wilson 1998; Sirota & Buzsaki 2005; Wierzynski, Lubenov, Gu, & Siapas 2009; Mölle, Eschenko, Gais, Sara, & Born 2009; Clemens et al. 2011). Spindles reaching the neocortex likely act to prime respective neuronal networks, e.g. by stimulating Ca2+ influx for subsequent synaptic plastic processes. Thus, memory information carried in single troughs of spindle oscillations maybe particularly effective in changing synaptic connections underlying the long-term storage of the information in the respective neocortical networks. While the neurophysiological underpinnings of this model cannot be discussed here in detail, the model has also important implications for psychological concepts of memory consolidation. Thus, the model considers reactivation as a basic mechanism of offline consolidation. Also, the model predicts that the system consolidation process during sleep is selective, i.e. only some of the information encoded into the temporal store is transferred to the long-term store whereas others become erased. Finally, the model predicts that memory undergoes specific qualitative changes in the representation during the off-line transfer from temporary to long-term storage. The three aspects will be discussed in more detail in the following. A central implication of the standard two-stage memory system is that the redistribution of temporarily stored memories to long-term stores is achieved by the repeated reactivation of the newly encoded memories during off-line periods following the learning experience. At the level of neuronal firing, there is compelling evidence from studies in rats that spatio-temporal patterns of neuronal firing present during exploration of a novel environment and simple spatial tasks (maze learning) are reactivated in the same sequential order in the hippocampus during subsequent sleep (Pavlides & Winson 1989; Wilson & McNaughton 1994; Sutherland & McNaughton 2000; Ribeiro et al. 2004; O’Neill, Pleydell-Bouverie, Dupret, & Csicsvari 2010). Such neuronal reactivation of ensemble activity was observed almost exclusively during SWS and very rarely during rapid eye movement (REM) sleep. It is not limited to hippocampal circuitry but occurs also in the thalamus, striatum and neocortex (Pennartz et al. 2004; Euston et al. 2007; Lansink et al. 2008). However, reactivations in the hippocampus seem to precede those in neocortex and striatum (Ji & Wilson 2007; Lansink, Goltstein, Lankelma, McNaughton, & Pennartz 2009). Sleep-dependent reactivation of activity in brain regions implicated in prior learning was likewise revealed in human neuroimaging studies (Maquet et al. 2000; Peigneux et al. 2004). However, all these studies indicating an association between neuronal activity at learning and reactivation during post-learning sleep could not exclude that neuronal reactivation during sleep represents a mere epiphenomenon not causally contributing to the consolidation of memory. In a study in humans using a hippocampus-dependent visuo-spatial learning task we provided first evidence for a causal role of reactivations during sleep (Rasch, Büchel, Gais, & Born 2007). Before sleep, the subjects learned the locations of 15 pairs of cards, similar to the game “Concentration” (German, “Memory-Spiel”) with each pair showing the same object (e.g. a red car). First, all cards are arranged up side down and for recall testing one card of a pair is shown to the subject and the subject has to indicate the location of the corresponding second card. Importantly, when learning the card locations, the subjects were simultaneously presented with an odour, the scent of roses, which as a context stimulus should become associated with the card locations to be learned. If the same odour was presented again during sleep after learning, then this significantly improved memory for the card locations learned before sleep. Re-exposure of the odour during sleep effectively enhanced memory only when the odour was presented during SWS, but not during REM sleep, or when the subjects were awake during odour re-exposure. Also, in control experiments odour presentation during SWS was not effective when the odour had not been presented at learning prior to sleep or when the odour was presented during learning of a procedural finger-sequence tapping task that does not essentially rely on hippocampal function. Via the olfactory system odour stimulation acquires immediate access to the hippocampus. Consequently, in an fMRI study we found that the odour when re-exposed during SWS after learning induced a distinct activation of the left hippocampus, i.e. the odour served as a cue that reactivated the new memories for the card locations encoded in the left hippocampus, thereby enhancing these memories. Interestingly, odour re-exposure during SWS induced hippocampal activation that was even greater than during wakefulness, indicating that hippocampal networks are particularly sensitive in SWS to inputs capable of reactivating memories. However, it is an unsolved issue whether the reactivations of a specific representation occurring in these networks in natural conditions is likewise linked to any specific input, or occurs spontaneously, e.g. due to the relative freshness of a representation. Although cuing during sleep with odours may be particularly effective as it leaves sleep architecture completely undisturbed, a sleep-associated enhancement of spatial memories has been also revealed after cuing with auditory stimuli (Rudoy, Voss, Westerberg, & Paller 2009). In rats, consolidation of hippocampus-dependent memories for a spatial maze was impaired following suppression of sharp-wave ripples typically accompanying memory reactivations during SWS (Girardeau et al. 2009; Ego-Stengel & Wilson 2010). Taken together, the findings corroborate the causal role off-line reactivations of memory representations play for the consolidation of these memories. Reactivation of memory also occurs during wakefulness with retrieval or mere cuing of memory. However, unlike reactivations occurring during the offline conditions of SWS, reactivations during wakefulness can be disturbed by interfering external inputs. It has been shown that memories when reactivated during wakefulness undergo a period of destabilization and need to be re-consolidated in a separate process in order to persist (Sara 2000; Nader & Hardt 2009). Based on this evidence, in a recent study we asked whether reactivating a memory during SWS, in the same way as reactivation during wakefulness, leads to a destabilization of the fresh memory representations (Diekelmann, Büchel, Born, & Rasch 2011; Fig. 2). Like in the Rasch et al. (2007) study, discussed above, subjects learned card-pair locations in the presence of an odour. Subsequently the odour was re-exposed to reactivate the memories while the subjects were in a period of SWS or while they were awake. Immediately after the odour-cued reactivation, stability of the memory was probed by having the subject learning an interference task, i.e. card pairs located at different places. As expected, in comparison with a non-reactivation condition, reactivation of the memories during waking destabilized memories, i.e. at a final retrieval test subjects showed a distinctly impaired memory for the originally learned card locations when interference learning took place after the original card-pair memories had been reactivated during wakefulness. In striking contrast, odour-cued reactivation of the memories during SWS stabilized memories, i.e. despite interference learning following reactivation, at the final retrieval test subjects had a better memory for the original card location when these memories had been reactivated during SWS than in the control condition where these memories were not reactivated. Functional magnetic resonance imaging (fMRI) indicated that reactivation during SWS mainly activated hippocampal and posterior neocortical areas whereas reactivations during waking were associated mainly with prefrontal activation. These findings suggest that reactivation as a principle mechanism in the formation of memories serves different functions depending on whether it occurs during waking or SWS (Rasch et al. 2007). Whereas reactivation during wakefulness may primarily serve to update the reactivated memory with new information, leading to a new memory in need of re-consolidation, it is only when reactivation occurs during SWS that memories undergo immediate stabilization. Indeed, the strengthened resistance to interference learning of a memory after reactivation during SWS is well in line with the assumption that during SWS these memories are transferred to neocortical storage sites. Thereby these memories become less dependent on hippocampus as the primary site where newly encoded memories can overlay and disrupt previously encoded older representation, i.e. a process known as retroactive interference (Kuhl, Shah, DuBrow, & Wagner 2010). Of note, in the study by Diekelmann et al. (2011) reactivation during SWS enhanced memories although the sleep period did not contain any REM sleep (but was terminated right after odour cuing during SWS had been completed). Together with a body of evidence from behavioural studies comparing the relative benefits for memory from retention periods rich of SWS or REM sleep (summarized in Marshall & Born 2007) this finding underlines that the putative system consolidation associated with sleep is supported mainly by SWS. Although traditionally REM sleep as well as the associated dreams reported after awakening from REM sleep have traditionally been linked with memory processing more closely than SWS, the function of REM sleep for memory consolidation is presently obscure (Siegel 2001; Wamsley, Tucker, Payne, Benavides, & Stickgold 2010). Based on the fact that REM sleep always follows SWS, a sequential process has been hypothesized such that SWS favours system consolidation of memory involving the reactivation and redistribution of memories to sites of the long-term storage, whereas subsequent REM sleep supports local processes of synaptic consolidation whereby the redistributed memory representations are additionally stabilized once they are transferred to the sites of long-term storage (Giuditta 1985; Diekelmann & Born 2010). This view is in agreement with above mentioned findings that the putative hippocampo-to-neocortical transfer of memories during SWS suffices to make these memories resistant to interference. This view is also in agreement with the fact that, if at all, REM sleep benefits aspects of a memory not essentially depending on the (binding function of the) hippocampus, i.e. procedural features of memory (Plihal & Born 1997; Plihal & Born 1999). Yet other findings contradict this view (e.g. Rasch, Pommer, Diekelmann, & Born 2009). Thus, unmasking at the behavioural level a presumed contribution of REM sleep to synaptic consolidation remains a continuous challenge to future research in the field. Although vast amounts of information are encoded by the brain during a daytime period of wakefulness, only a fraction of this information is being stored for the long term. A global strengthening of newly acquired memory traces and underlying synaptic connections during off-line consolidation would inevitably result in a system overflow. Selectivity indeed represents a major adaptive function of active system consolidation within a two-stage memory system. However, although the body of literature indicates that not all memories benefit from sleep-associated consolidation, the factors that determine whether a memory gains access to sleep-dependent offline consolidation and transfer to long-term storage are currently not well understood. There is evidence from studies examining effects of sleep after implicit versus explicit learning of the serial reaction time task that the sleep-induced gain in motor performance on the task was more robust after explicit training, suggesting that explicit encoding favours access to sleep-dependent memory consolidation (Robertson, Pascual-Leone, & Press 2004). Involvement of the prefrontal-hippocampal system underlying explicit encoding has been proposed as prerequisite for consolidation to occur during sleep (Marshall & Born 2007). Once explicitly encoded, the profit from sleep-dependent consolidation appears to be greater for information that was more weakly encoded (Drosopoulos, Schulze, Fischer, & Born 2007). Also, difficulty of encoding and emotionality of the encoded events can increase the memory benefit from sleep (Kuriyama, Stickgold, & Walker 2004; Wagner, Hallschmid, Rasch, & Born 2006). However, the properties of an explicitly encoded stimulus per se do not alone determine whether a memory enters sleep-dependent consolidation. In a recent series of studies we showed that sleep preferentially consolidates memories that are relevant for an individual’s future plans, thus demonstrating the future-oriented, motivated character of sleep-dependend memory consolidation. In one of these studies (Wilhelm et al. 2011; Fig. 3), subjects learned declarative memories (verbal and visual-spatial paired associates) before periods of sleep and wakefulness, and after this learning period were or were not informed that retrieval of the memories will be tested later on. Post-learning sleep, in comparison with wakefulness produced a significant improvement at delayed retrieval testing only, if the subjects had been informed about the retrieval testing. On the other hand, retention during wake intervals was not affected by the retrieval expectancy. Thus, the mere expectancy that a memory will be used at a future occasion provides access for this memory to sleep-associated consolidation. Retrieval expectancy in these experiments was associated with increased EEG slow oscillation activity during post-learning sleep which, furthermore, was strongly correlated with correct recall at the delayed retrieval testing. Retrieval expectancy and associated rewards are also effective in sleep-dependent procedural memory consolidation (Fischer & Born 2009). In this study, before retention periods of sleep and wakefulness, subjects were trained on a finger-sequence tapping task on two different sequences (A and B), one after the other. After training, they were told that at the later retrieval test they would receive extra monetary reward if they performed particularly well on one of the sequences. Performance on the other sequence was not associated with an anticipated extra monetary reward. To avoid that the expected reward directly affects retrieval performance, the original reward association was nullified before actual retrieval testing, and the subjects were told that good performance on both sequences would be rewarded. Nevertheless, the sleep-dependent gain in motor finger tapping skill was distinctly greater for the sequence associated with expected reward than for the other one. The enhancing effect of reward expectancy was again specific to sleep-dependent consolidation, as retention across the wake interval remained unaltered by the expectancy manipulation. Note, in both experiments the expectancy manipulation occurred after the learning phase, excluding that differences at encoding per se enhanced the sleep-dependent processing of memories. Using two tasks of prospective memory, we showed that sleep also supports the implementation of future plans (Diekelmann S., Wilhelm I., Wagner U. and Born J., submitted). Comparing retention periods rich in SWS or REM sleep indicated that the successful implementation of the plans depended on SWS. Importantly, the enhancing effect of sleep on the memory for the plan was nullified if the subjects executed the planned behaviour already before the period of retention sleep. Prior execution of the plan abolished the enhancing effect not only on prospective memories, but also on retrospective memories constituting the plan. In combination, this series of studies indicates that sleep-dependent consolidation of memory is motivationally driven and, in this way, selective by strengthening specifically those memories that are relevant for future actions and goals. The underlying mechanisms of this selection process are presently obscure. Processing of anticipatory aspects of behaviour such as expectancies and plans is particularly linked to executive functions of the prefrontal cortex that regulates activation of memory representations during anticipated retrieval and accommodates specifically the intentional and prospective aspects of a memory representation (Cohen & O’Reilly 1996; Miller & Cohen 2001; Polyn & Kahana 2008; Hannula & Ranganath 2009). At a neuronal level, the allocation of future-oriented expectancies and intentions to a memory may become manifest in a tagging of the newly encoded memory that facilitates its access to sleep-dependent memory processes. Consistent with this view, during post-learning SWS in rats, neuronal ensemble activity present during learning is replayed not only in hippocampal circuitry but also in prefrontal cortex (Euston et al. 2007; Peyrache, Khamassi, Benchenane, Wiener, & Battaglia 2009). Thus, a prefrontal tagging of memories explicitly encoded under control of the prefrontal-hippocampal system could be decisive for the selectivity in off-line memory consolidation. Interestingly, the prefrontal cortex belongs also to the regions most strongly involved in the generation of slow oscillations (Massimini, Huber, Ferrarelli, Hill, & Tononi 2004; Murphy et al. 2009). It is thus tempting to speculate that prefrontal slow oscillations hallmarking SWS reflect the activity of a read-out system that via tagged connections controls the selective reactivation and redistribution of newly encoded hippocampal memories to neocortical sites of long-term storage. Simultaneously, these slow oscillations may drive processes actively erasing information from hippocampal sites that are irrelevant for future behaviour, thus freeing the hippocampus for the encoding of new information during subsequent wake periods (Yoo, Hu, Gujar, Jolesz, & Walker 2007; van der Werf et al. 2009). Recall of memories in the hippocampus-dependent declarative memory system becomes gradually—although not necessarily completely—independent of hippocampal networks over time to rely mainly on neocortical networks (Frankland & Bontempi 2005). Recent fMRI studies have provided evidence that the hippocampo-to-neocortical redistribution of memory representations is promoted by sleep (Takashima et al. 2006; Gais et al. 2007). In parallel to these qualitative changes in the representation of a memory at the neuronal level sleep produces qualitative changes in the memory at the behavioural level. In fact, there is convergent evidence for the notion that the system consolidation process during sleep supports the extraction of invariant and repeating features in newly encoded memories, and in this way, the conversion of implicit into an explicit and conscious form of memory. In a first study (Wagner, Gais, Haider, Verleger, & Born 2004; Fig. 4a), we examined this issue using the Number Reduction Task (NRT). This task consists of the presentation of strings of digits which the subjects are required to process such that they reach the final solution to each string as fast as possible. Earlier, they are taught how they can reach the solution by sequentially processing the digits according to a set of rules. However, unknown to the subject, the digit strings are built up according to an underlying structure such that once gaining insight into this hidden structure the subject can give the correct answer to each string right away, without processing the whole digit string sequentially. In the study, subjects first practiced on 90 digit strings which was not sufficient to produce insight into the hidden structure. Then, an 8-h interval of sleep or wakefulness followed before subjects were tested again on the task, this time for up to 300 strings. At this retest more than twice as many subjects of the sleep group gained insight into the hidden structure as compared with the wake control groups. In further control experiments, sleep did not facilitate the gain of insight into the hidden rule, if subjects had not practiced the task before sleep, i.e. if no representation of the task and the digit strings had been encoded that could be re-processed during subsequent sleep. This is an important observation because it excludes that the facilitated gain of insight after sleep resulted from a generally improved creative thinking but, on the contrary, confirms that this facilitation is a memory phenomenon requiring a specific memory to be encoded before sleep which then becomes consolidated and reorganized such that the gain of insight is eventually facilitated. 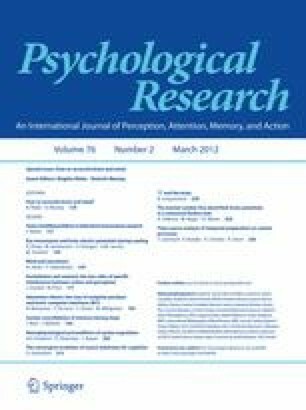 Further studies comparing retention periods rich in SWS or REM sleep revealed that once subjects have acquired implicit knowledge about the rule during the pre-sleep practice phase, SWS rather than REM sleep is critical for the occurrence of explicit insight into the rule (Yordanova et al. 2008). In more fine-grained analyses, slow spindle activity during SWS was revealed as a marker favouring the transformation of pre-sleep implicit knowledge to post-sleep explicit knowledge (Yordanova J., Kolev V., Wagner U. et al., submitted; Fig. 4b). Further approaches to demonstrate a role of sleep in converting implicitly learned knowledge about rules and patterns into explicit knowledge used a relational memory task (Ellenbogen, Hu, Payne, Titone, & Walker 2007) and the serial reaction time task (SRTT) (Fischer et al. 2006). In the latter task, subjects are presented with a cue (e.g. an asterisk) that appears at different horizontally arranged positions on a computer screen. The subject’s task is to respond as fast and as accurately as possible to the cue by pressing a spatially corresponding key on a response pad below the screen. Unknown to the subject, the cue changes its position according to a complex but repeating sequence, i.e. the underlying sequence grammar. After some training on the task, reaction times to the cue positions typically distinctly decrease compared with reaction times to a random sequence of cue positions, indicating implicit knowledge of the sequence grammar. Fischer et al. (2006) combined this classical SRTT with a so-called generation task where subjects are explicitly asked to deliberately generate the sequence of cue positions in the SRTT they had trained before under implicit conditions. In this study, subjects were first trained on the SRTT to acquire implicit sequence knowledge. Subsequent generation task performance assured that subjects had not obtained any explicit sequence knowledge during prior training. Then, a 9-h retention interval followed which was filled with either sleep or wakefulness, before subjects were tested a second time on the generation task. At this retest, the subjects who had slept after SRTT training were distinctly more able to deliberately generate the sequence underlying the SRTT than the subjects who had stayed awake after the initial SRTT training. In fact, the latter group at the retest still performed at chance level. Whether subjects are informed or not before sleep that there was some kind of grammar in the SRTT sequence they trained, is not essential for the sleep-induced gain of explicit sequence knowledge, although such information can induce delayed gains of explicit knowledge independently of the occurrence of sleep during the post-training interval (Drosopoulos, Harrer, & Born 2010). Also, preliminary findings show that the gain of explicit knowledge from implicitly learned structures is much greater in children than in adults, in parallel with the much greater amounts of SWS in children (Wilhelm I., Rasch B., Rose M., Büchel C. & Born J., submitted). Taken together, these studies indicate that sleep reorganizes newly encoded memory representations thereby enabling the extraction of invariant features from complex stimulus materials and, eventually, the gain of insight into hidden structures and explicit knowledge about implicitly learned rules. Insight and the emergence of explicit knowledge in the waking brain involve activity in prefrontal cortical areas in connection with hippocampal and closely connected medial temporal lobe areas (McIntosh et al. 1999; Luo and Niki 2003; McIntosh et al. 2003; Jung-Beeman et al. 2004; Rose et al. 2010). We speculate that neuronal reactivation of task representations occurring in these regions during SWS mediates a restructuring of the representation which produces an increased binding to prefrontal circuits and thereby facilitates the generation of explicit knowledge. Although strong behavioural evidence for a sleep-induced reorganization of memory representations has been so far only provided for the case that explicit knowledge is extracted from implicitly acquired materials, it is not excluded that such reorganisation occurs also in the absence of an implicit-to-explicit conversion, i.e. for explicit representations that stay explicit and for implicit representations that stay implicit. For example, studies using the Deese, Roediger, McDermott (DRM) false memory paradigm suggest that sleep can support the extraction of an explicit gist memory for the word lists that were explicitly encoded before sleep (Payne et al. 2009; Diekelmann et al. 2010). Sleep has also been revealed to benefit the transfer of tapping performance from one hand used at training to the contralateral hand in a procedural finger-sequence tapping task (Witt et al. 2010; Cohen et al. 2005) and also to support tapping speed on a finger sequence that had only been learned by observation before sleep (van der Werf et al. 2009). Such findings suggest that qualitative reorganisations during sleep may affect implicit representations as well. However, these issues clearly need further investigation. The formation of long-term memory is effectively established in a two-stage memory system where offline periods are used to gradually transfer newly encoded memories from a temporary store into a long-term store. Over the past two decades convergent evidence has been accumulated that sleep and particularly SWS serves as an off-line period in which newly encoded hippocampus-dependent declarative memories are gradually adapted to pre-existing knowledge networks presumably residing mainly in the neocortex. Rather then merely supporting consolidation in a passive manner by protecting them from retroactive interference (Ellenbogen, Payne, & Stickgold 2006), sleep additionally supports an active process of system consolidation (Diekelmann & Born 2010). This process originates from the reactivation of newly encoded memories in the hippocampus, is selective in that memories with relevance for the individual’s future behaviour are preferentially consolidated, and leads to a reorganisation of the memory representation that produces changes in the quality of the memory. A particularly intriguing aspect of the latter function is that sleep appears to prime the transformation of implicitly encoded information into explicit knowledge, i.e. something that is not conscious before sleep enters consciousness through sleep. In this way, sleep as a brain state hallmarked by a profound loss of consciousness helps establishing consciousness during wakefulness. While recent findings have corroborated this concept of an active system consolidation supported by sleep in essential aspects, quite a number of questions are left unanswered. The reactivation and redistribution of memory during sleep needs to be studied in more detail to answer, e.g. whether selectivity in offline consolidation is established already during reactivation of the temporarily stored materials or alternatively, in the process of adapting these memories to pre-existing long-term memories. Do memories not selected for consolidation just decay over time, or is there an active unlearning of hippocampal memories during sleep? Is the involvement of the prefrontal-hippocampal system at encoding mandatory for system consolidation to occur during succeeding sleep, or are system consolidation processes established during sleep also in other systems independent of or interacting with the prefrontal-hippocampal system? What are the underlying neurophysiological mechanisms and what is the role of REM sleep in this process? These are just a few of the many questions in a rapidly growing area of research which uses sleep as a window to the understanding of memory and, eventually, of consciousness. This work is supported by grants from the Deutsche Forschungsgemeinschaft (SFB 654 “Plasticity and Sleep”) and the BMBF (Bernstein Focus Neuronal Foundations of Learning).